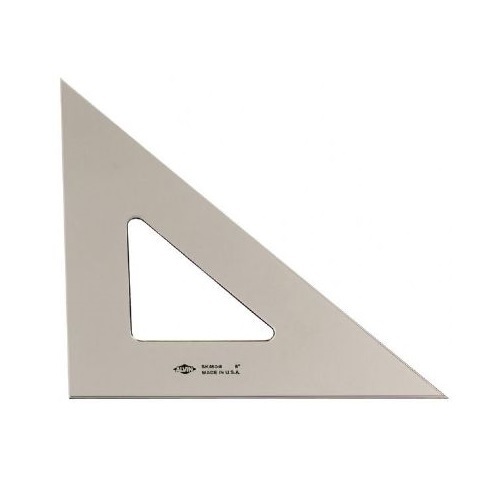 Select a Size Select a Size SK450-4 - 4" SK450-6 - 6" SK450-8 - 8" SK450-10 - 10" SK450-12 - 12"
These Drafting Triangles are made of molded 0.10" thick polystyrene and feature a transparent non-glare smoke tint for easy visibility. Edges are double beveled with handy fingerlifts for quick placement and removal. Supplied in poly bag with hanging hole.